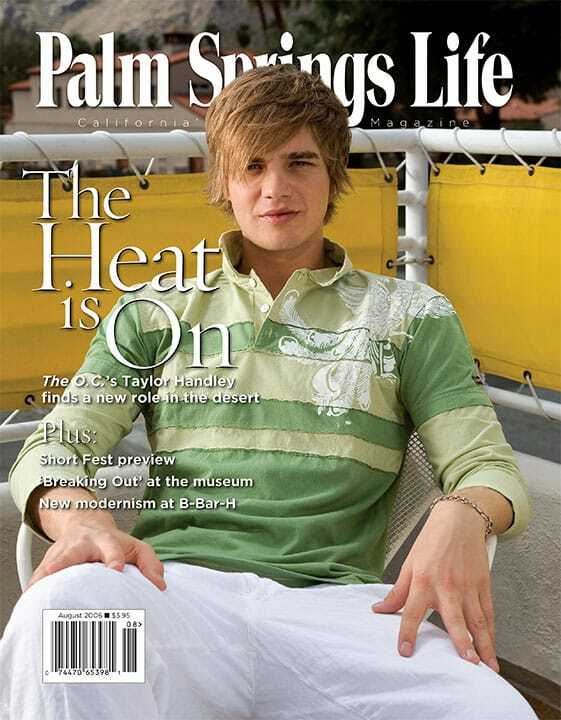 ON THE COVER — Taylor Handley at Movie Colony Hotel. Photography by Taylor Sherrill. By Tod Goldberg. Photography by Taylor Sherrill. 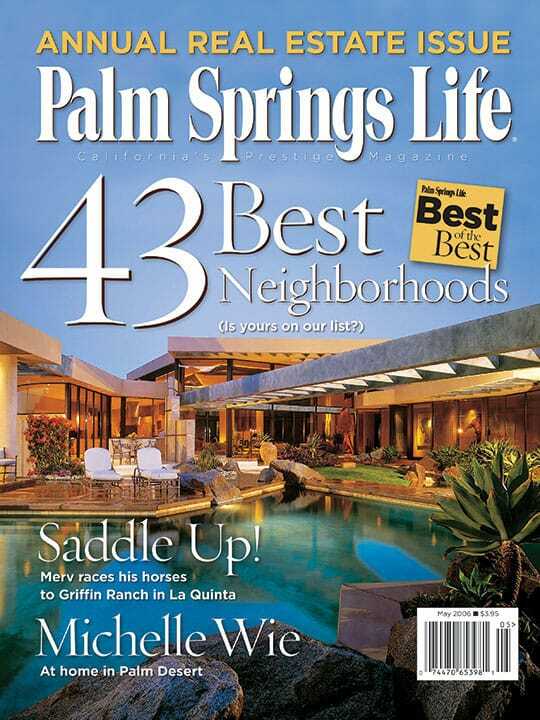 Taylor Handley stands to bring a youthful focus to Palm Springs. By Alan W. Petrucelli. Photography by Ethan Kaminsky. Steve Maloney parlays contraband from airport security checkpoints into colorful constructions that capture a moment in history. Young filmmakers invigorate Palm Springs’ week long summer festival of short films. A home developer serves up modernism with a well-measured twist of history.